Does God orchestrate all events…? By that we mean ALL events, not just the "major" world events? No Jew nor Christian would suggest that God didn’t orchestrate things such as the Flood; the Plagues of Egypt; the birth and crucifixion of our Lord and Saviour Yeshua - Jesus Christ, etc. However, many would hesitate at the idea that God orchestrates everything, even the mundane events of life for His purposes! "There are many plans in a man’s heart, nevertheless the Lord’s counsel - that will stand," Proverbs 19:21. The Bible is bursting with not only the teachings that God orchestrates ALL events - but also with examples of Him doing so. Let’s look at one such example that can be found in I Samuel 9… Just prior to this chapter, Israel’s last Judge, Samuel, has become old and put his sons in charge who are corrupt as Eli’s sons had been a generation earlier. As a result of this and the people’s hardness of heart, they asked Samuel to give them a king so they can be ruled like the nations around them. God tells Samuel to warn the people what that will mean for them but instructs him to give them what they want. We then come to chapter nine… Several donkeys of a well-to-do man named Kish have run away and so Kish instructs his son Saul and one of his servants to go look for them. Saul and the servant set out but have NO luck finding them. They go from town to town, province to province, but NO donkeys. Finally, when they reach the district of Zuph, and Saul suggests to the servant that they turn back. He was concerned that his father will stop worrying about the donkeys …but instead begin worrying about them if they stayed away much longer. However, the servant just so happens to know that there is "a prophet" in the town they are near. He suggests they consult with the "man of God" and see if he can help find the donkeys. Saul agrees and as a result of all these events they are walking along the road exactly when and where God had revealed to Samuel he would find God’s chosen king for Israel! Coincidence? We think not! You see, the missing donkeys were not the only thing – God orchestrated everything! So, we ask ourselves why did the donkeys run away…? 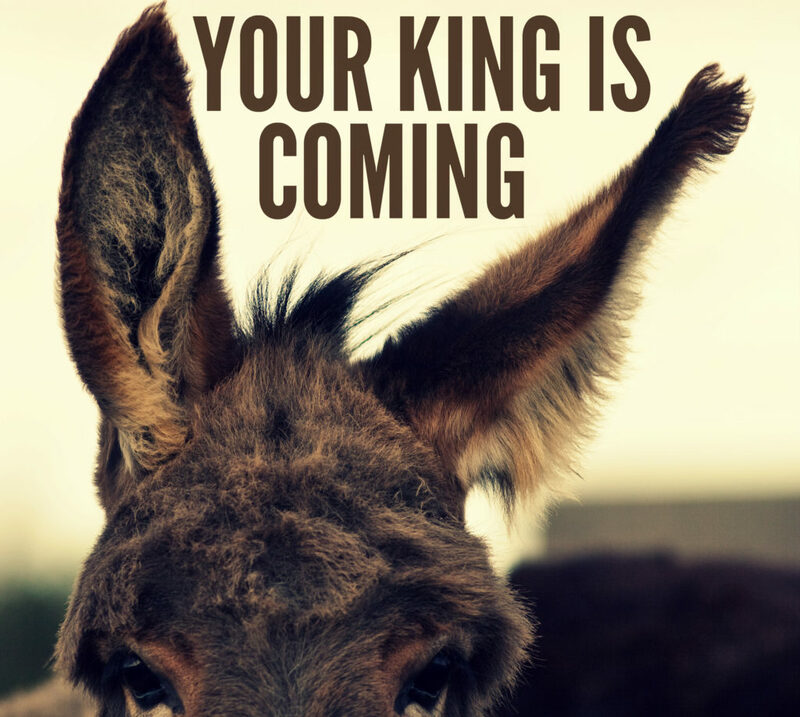 Why did Saul’s father send his son and not just some servants to look for the donkeys? Why did he choose this particular servant to go with Saul? Why did they take the route they took to look for the donkeys? Why did the servant suggest they check with the "man of God" …rather than just accede to his master’s wishes? All creatures, whether donkeys or men – have been given freedom of making decisions …and choices have consequences. They made real choices within time and space. But, here we see clearly that God orchestrated the events to happen just as they did - no differently than He orchestrated the birth and death of Yeshua (Jesus) at just the right times (Galatians 4:4; Romans 5:6). We don’t understand how those things work together and how men and women make real choices for which they are responsible …yet all things that come to pass are the plan and purpose of God. But, the Bible consistently teaches both are true (Acts 2:23). So, does God orchestrate all things…? Yes, and we can be thankful He does. If it were otherwise, we would be at the mercy of the decisions of the creation rather than of the Creator and in whose hands, would we rather rest? In Chapters of Genesis 22-24 we read the details and the selection of a bride for Isaac and we can understand that God orchestrates everything in our lives if we obey God and trust in His provisions. God had commanded Abraham to take a wife for his son Isaac only from his parental home, and had promised him prosperity and angelic guidance (Genesis 24:7, 40) in fulfilling his objective. Abraham obeyed God by delegating this task to his oldest servant giving him precise instructions about how to achieve his task. This servant prayed for God’s will using a conditional clause for selecting the bride. Rebekah acted exactly to meet all the conditions of selection …and her family met all the conditions put forward by Abraham …and this was in line with God’s directives! Finally, Rebekah was herself willing to leave her father’s home to be Isaac’s wife (Genesis 24:57) therefore fulfilling God’s perfect plan for Isaac. What a wonderful real-life example of Romans 8:28; "And we know that all things work together for good to those who love God, to those who are the called according to His purpose!" God is a strategic God… He has laid out an exact plan for our lives down to the smallest details. God knows the people we’re going to need to fulfil our destinies. He knows who is going to need to give us a good break and who is going to need to put in a good word for us. He knows when someone is going to need to be there to help us out of a difficult time. God has it all figured out and He is not vague or approximate. God is orchestrating our lives down to the very second, causing us to be at the right place at the right time so we can meet the right people that He ordained before the foundation of the world. A Modern example is ex-US President Barack Hussein Obama… In the spring of 2015, Israeli Prime Minister Bibi Netanyahu was up for election. It was clear that Obama wanted Netanyahu to be defeated – with a passion and so he believed that if Netanyahu’s opponent could win, then Netanyahu’s policies could be reversed, undone, nullified! With this deceitful move then Obama could enforce his plan for Israel and the Palestinians. Interfering in another country’s election, and especially another country that constitutes a close ally, has long been considered forbidden. But, in the case of Israel, apparently Obama felt that this taboo could be broken. During that Israeli election, article after article came out revealing that the Obama administration was doing just that - intervening and interfering in Israel’s election! The Obama Admin. sent US taxpayer money to campaign to oust Netanyahu. The Obama campaign team arrived from the USA in Israel to defeat Netanyahu in Israel! Netanyahu pollster claimed that Obama’s role in Israeli election was larger than reported …but, the Media kept it quiet! We thank God that Obama’s offensive against Netanyahu backfired! According to the reports, Obama was funding an organization in Israel dedicated to defeating Netanyahu in his bid for re-election as Israel’s prime minister. But in a way, that was eerily similar to US President Donald Trump’s victory in America - all the polls and major media outlets were predicting Netanyahu’s defeat and the end of his agenda! And, paralleling what would happen in the American election the following year, the outcome was so surprising that many media outlets didn’t even make it known for hours. And, then amazingly Prime Minister Bibi Netanyahu won re-election! Obama’s interference in Israel’s election had come to nothing! And, Netanyahu’s policies would be preserved! Trump’s support for Israel was undeniable from the start of his campaign! The Abrahamic Covenant - Obama and Trump… The Ancient Covenant that God made with Israel ordains that what one does to Israel will be done back to you – either directly by God, or indirectly, using a vessel or secondary means. Obama had sought to end the policies, stands and agenda of Benjamin (Bibi) Netanyahu. Therefore, according to the ancient mystery, God would likewise bring the policies, stands and agenda of Barack Obama to an end. Obama, as an outside power, had intervened and interfered in the election of Israel to defeat the policies of Bibi Netanyahu! Therefore, according to the mystery, it would mean that God would likewise allow an outside power to interfere in America’s election in order to defeat the policies of Barack Obama. Beyond Russia, the mystery would ordain that God Himself could intervene in America’s election to cause Barack Obama’s policies to be undone and his legacy nullified. This would explain the very strange, odds-defying, experts-defying and natural explanation-defying phenomenon of the 2016 American election – that it was simply God’s intervention! This divine law of history has been in effect from the days of Babylon and Egypt and to this day - long before Barack Obama and long before America itself. That Obama does not know this Ancient Biblical Law, or doesn’t believe it, is obvious. For shortly after the election in 2008, the Obama administration brought America’s relationship to Israel to yet new unprecedented depths. Obama chose to have America abandon Israel at the United Nations and make possible a resolution that calls Jerusalem Palestinian territory. Beyond what Obama did on the Biblical issues of life, gender, marriage and religious liberty, Christians were horrified by what he did with regard to Israel. Under the Obama administration, relations between American and Israel fell to an all-time low, the worst it had ever been since the creation of Israel in 1948. Beyond that, Obama appeared to declare war on America’s strongest and closest ally in the Middle East. He attacked Israel’s Prime Minister, Benjamin Netanyahu, over and over again, relentlessly. Obama publicly maligned Israel’s Leader and Government in a way he had never done even to America’s sworn enemies. This included everything from Obama lobbying for the destruction of the Defence of Marriage Act, to the overturning of the Biblical definition of Marriage, to the transgenderizing of children’s bathrooms in the nation’s public schools, to the erosion of religious liberty in the military and throughout American culture, to the expansion of abortion around the world, the seeking to make Christian employers go against their beliefs and their faith to fund the killing of the unborn, to the pressuring of governments around the world to end the traditional definition of marriage and kill their unborn and much more. Obama enacted many of these policies and actions not by the legislative process of having Congress debate, vote on and ratify them …but by presidential policies and his “pen” executive actions, which circumvented Congress. Because of this, much of what he did rested on shaky political ground, being vulnerable to being reversed and nullified by the executive actions of a subsequent president with differing views. Or in other words, he who lives by executive actions can die by them! Therefore, much of Obama’s legacy was hanging on the election of 2016. The outcome would decide whether or not his many actions would be sealed by the election of a president in favour of his agenda or reversed by the election of a president not in favour. Thus, he had more riding on the election of 2016 than any president in modern times. In other words, if Hillary Clinton won the election, Obama’s legacy was preserved. If Donald Trump won the election, his legacy would be largely undone. It seemed to most observers it was impossible for Donald Trump to win the presidency since his campaign expenditures were swamped and dwarfed by massive amounts spent by Hillary Clinton. It was a given by the corrupt media that he had lost the women’s vote and had lost the key swing votes needed to even have a fighting chance. It was also given among all experts that Trump had virtually NO chance of winning the presidency. And then Donald Trump won! “The grass withers, the flower fades, but the word of our God endures forever,” Isaiah 40:6. It was the shock wave around the world and the liberal Democrats were surprised and even some Republicans were surprised, Hillary Clinton was surprised and Donald Trump was surprised. And mostly Barack Obama was surprised! Poll after poll not only showed Trump losing, but losing badly. The odds against Trump in the US Electoral College were even more impossible. And yet he won. As the voting began, the returns confirmed what virtually every poll and prediction had foreseen. Trump would be defeated, and badly. And, then something happened! And, no one was quite sure how? The numbers on the boards began to change in his favor - It defied explanation – as most of the experts and pundits were at a loss to account for it and, at best, could now only admit that they had been completely wrong. And, as for those supporting and supporting for a Trump victory, the results appeared nothing less than miraculous! Obama’s legacy was now surely to be undone. What had happened…? Obama claimed that the election had been impacted by some interference. A foreign power, Russia, he claimed, had hacked into American computers, and particularly into those belonging to operatives in the Democratic Party, and used the information to tilt the election in Trump’s favor. It became a major international incident and in response, Obama ordered the expulsion of 35 Russian diplomats. But what really happened…? Even if Russia did interfere, what happened in the election of 2016 could NOT be explained by any one factor. Divine intervention - GOD! Could the answer lie in a 4000-year-old mystery from the Book of Genesis? Let’s look further… Abraham, a Middle Eastern shepherd from Ur of the Chaldees and chosen by God to bring into the world a new nation – Israel. 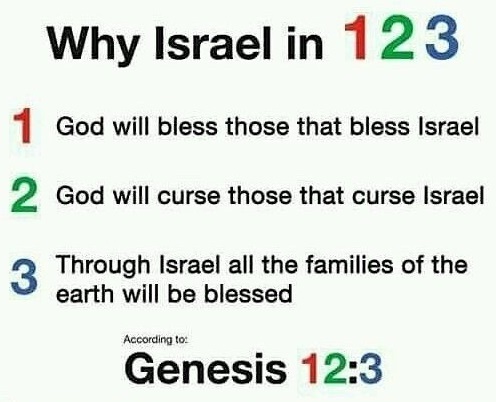 In Genesis 12, God gives Abraham a promise: “I will bless those you who bless you and curse those who curse you.” In other words, those peoples, kings and nations that bless the children of Israel, the Jewish people, will be blessed. And those who curse them will be cursed. But it goes further than that - the promise contains the principle of reciprocity! Whatever you do to Israel will be done to you. In today’s terms simply, “you reap what you sow!” What do we take from this…? Simply don’t mess with Israel – you then challenge the Almighty Himself! As we have written many times before – we believe President Donald Trump was chosen by God for Israel and especially Jerusalem! What did Trump do in his very first year…? He signed into legislation that The US Embassy be moved from Tel Aviv to Jerusalem by the end of next year – making history! No other US President had done before! You see the US Trump/Pence Presidential team, (and Nikki Haley as US Ambassador to the United Nations) are biblically correct in recognizing Jerusalem as Israel’s “Eternal” Capital …and perfectly in line with honoring God as they honor Israel. 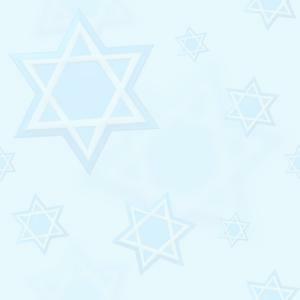 So, too will God honor every one of us as individuals as we love, pray for and support Israel and the Jewish people! Many South Africans love and support Israel even under the current very anti-Israel, President Jacob Zuma – just like the previous US Obama administration. Our hearts and prayers for our country cry deeply and we know that God is able to give us a godly leader, man or woman after His heart that will love, support and bless Israel …just like He did for America with US Present Trump! God certainly hears all our prayers South Africa …and is not mocked! His Word stands true for all of us – that; “those who bless Israel will be blessed – but those who curse Israel will be cursed!” We choose God’s blessings any day! Change is coming! “I (God) announced events beforehand, I (God) issued the decrees and made the predictions; SUDDENLY I (God) acted and they came to pass,” Isaiah 48:3. Expect more “Suddenlies” in 2018! There are numerous accounts in the scriptures about “immediate” and “sudden” actions of God that changed circumstances for the better! We love the accounts in the New Testament Gospels of those who have suffered long and hard and “suddenly” the touch of Yeshua (Jesus) changed everything. In an instant, their circumstances were changed! The woman with “the issue of blood” is one of healing in Mark 5:25-34. Imagine how she felt after suffering for 12 years and suddenly, she was healed? We all have areas of long and enduring pain that we long for God to heal. Can you imagine a “sudden” move of God? Another great example of God “suddenly” acting in our circumstances so as to remove our struggles is the story of Paul and Silas, Disciples of Yeshua (Jesus) who were jailed for preaching the Gospel. “About midnight Paul and Silas were praying and singing hymns to God, and the other prisoners were listening to them. Suddenly there was such a violent earthquake that the foundations of the prison were shaken. At once all the prison doors flew open, and everyone’s chains came loose.” Acts 16:25-26. Though most of us can’t imagine being imprisoned for crime and/or injustice, we can all relate to being held captive by our fears, worries, and possibly addictions. The common denominator in both these Scriptures was that those who suffered chose to trust the Lord and act on that trust in a way which predisposed them to a major move of God. Watch and see God work in the “suddenlies” in our own lives, our families, our jobs, our ministries …and in the nations – especially Israel! We believe that 2018 is going to be an exciting year prophetically… As a privileged generation we mark the 70th anniversary of the rebirth of 1948-2018 we are excited to see what God has in store. Truly a new season of prophetic fulfillment for the State of Israel is on the horizon. When we look at the history of the rebirth of Israel from the beginning we are at Biblical proportion in prophecy: We witnessed: 50-year Jubilee of a reunited Jerusalem (1967-2017). 70 years since the United Nations plan for a Jewish State and 70 years since Israel’s Independence (1947/8-2017/8). 100 years since the Balfour Declaration (1917). 100 years since General Allenby liberated Jerusalem from the Ottoman Turks (1917). 120 years since the First Zionist Congress in Basel convened by Theodore Herzl (1897). And, 150 years since Sir Charles Warren discovered the Ancient City of David in Jerusalem (1867). The Biblical Jewish Calendar predates our Gregorian Calendar and counts the years since Creation and in the time of Adam. In Hebrew each of these numbers have Biblical significance: 50 years – is a “Jubilee” of a 50-year cycle (Leviticus 25). This truly is an indication that there is a divine pattern of restoration and release operating in God’s Holy City – Jerusalem! When we examine 70 and 120 years we are able to see God’s protection and Divine Hand. Over the past 120 years God has already opened an exciting new chapter for the Jewish people and today Israel has become a world leader in technology, medical, agriculture and scientific research! 70 years represents a significant time-span in the Bible. Moses gives us indication that 70 years is the lowest limit of a human lifespan (Psalm 91:10). It was the period for which was exiled in captivity. Then after 70 years God remembered Hid promise of restoration and the Jewish people began returning to their homeland under Ezra and Nehemiah. The Prophet Daniel saw that 70 weeks determined for Israel and Jerusalem to complete their divine purposes (Daniel 9:24). The period of 120 years represents the upper limited for a human lifespan. In the times of Noah (Genesis 6:3), God gave humanity 120 years to live and Moses died exactly at this age – and no Biblical figure has reached this age since! So, we see here that both 70 years (for the State of Israel) and 120 years (for the Zionist movement) represent a “season of completion and accomplishment! Not surprising that US President Donald Trump has kept his promise to move the US Embassy to Jerusalem! We believe that God is moving the church into a season of suddenlies in 2018 as Israel turns 70 years. He wants to get us prepared for this special season. We believe God is going to move in quick, rapid, sudden activity in regard to the promises of His word. For the year of 2018 (5778), and the next few that follow, expect to see the First Fruits of this era that has been marked by God in time. Thus, new beginnings and doors open, but also great opposition! We are now at the very edge of the final events in prophecy (the rapture and the tribulation) beginning and truly believe that the rapture of the church could happen at any time - based on the current world situation (particularly Israel and the Middle East) and the way that lawlessness, breakdown of family through homosexuality, natural disasters and extreme weather are increasing in frequency and intensity - just as "birth pangs,” just as our Lord warned it would be at the time of His soon return in Matthew 24. The fact that all of the Biblical numbers converge on one-time period of seven years (5777) with the eighth (5778) - 2018 being a “new beginning” is obviously far above and beyond anyone else's control. How and when the final events in prophecy play out, are entirely in God's hands and in His timing; God and God alone know the exact timing. The year 5778 the numbers 7 and 8 put together form a remarkable connection: The number 7 meaning spiritual perfection, fullness or completion and blessing …and here we see double 7 which means double blessing. It also speaks of cutting time in to seven: Shabbat (Sabbath) – 7th day; Shavuot = 49th day of Passover Tishri – 7th month of the Hebrew year; Shemitah – 7th year of rest for the land; Yovel – 49th Millennium Kingdom – the 7th millennium of human history (week of millenniums). The number 8 representing: New beginnings, salvation, resurrection and new birth/regeneration. This is derived from the “door of life” and the Ancient Hebrew views of how alphabet character “chet” (which is also number 8) - is seen to be a gate formed by the joining of characters “Zayin” and “Vav.” It also comes when considering key Biblical insights: 8 being the 1st day after the completed 7-day week; Recognised through the resurrection of Christ on the 1st day of week; 8 souls were saved on the Ark during the great flood, and from them “new beginnings”; Hebrew covenant of circumcision occurs on their 8th-day signalling the beginning of the boy’s new life in God; Sukkot is a 8 day festival that anticipates the world to come; (King) David was the 8th son – and his reign signalled a new beginning for the Israelites. So, in ‘chet’ (which one meaning is a wall, and a place of division, and another time is a door and place of new beginning) it is revealed in the Lord the answer to the query, “When does a wall become a door…?” When it is a gate of heaven…. one like the door that had over it the blood of the lamb that was a place of access to safety for the Israelites - but kept death out! One like the door that allowed the animals in two by two and Noah and his family - but kept the floods out! 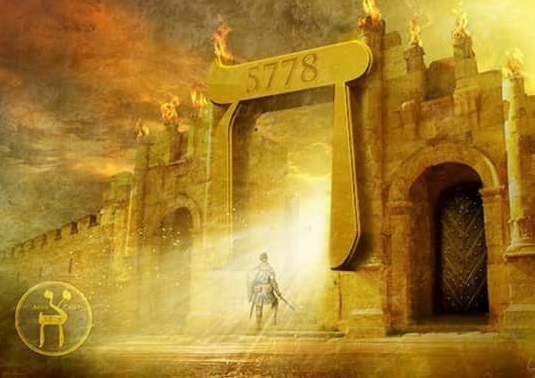 One that is a gate of heaven, such a Bethel discovered by Jacob, that looks like a place with a rock for a pillow - but is in fact a portal to the house of God, where angels ascend and descend…and at which the Lord stands. This would give you spiritual completion/fullness (year 5777 on Jewish calendar) followed by resurrection and new beginnings - rebirth/regeneration (year 5778); add to that the fact that the final year - 5778 - ends with both numbers 78 and it kind of makes you want to keep a closer watch doesn't it? While no one can say or know for sure the exact timing of events, again, we believe that these and the numbers are direct signs from God to warn every one of His children that the time of Christ's return is indeed "at hand." “Now learn a parable of the fig tree; when its branch is yet tender, and puts forth leaves, you know that summer is near. So likewise, you, when you shall see all these things, know that it is near, even at the doors. 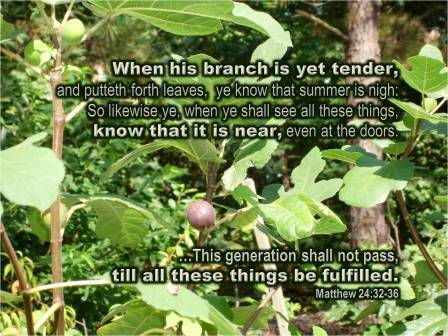 Verily I say unto you, this generation shall not pass, till all these things be fulfilled,” Matthew 24:32-34. (See also - Mark 13:28-30 and Luke 21:29-32) What's important here is that the fig tree in this parable represents Israel and that the generation that sees the re-birth of Israel (1948) will NOT pass away until all things have been fulfilled. From this point it is a matter of simple math - If we add 70 years to 1948 we have the year 2018. It doesn't get much simpler than this! We would also point out that the Lord, in His wisdom, placed a 10-year variable in Psalm 90:10 (80 if by strength) thus maintaining the sense of imminence because we can't know for sure when but it tells us just how close we could be! The "icing on the cake" is that this year (5778) 2018 will be 1948 years since the destruction of the second Temple in 70 A.D! Did you see it…? Israel’s Second Temple destruction in 70 A.D is exactly 1948 years ago …and Israel’s rebirth as a nation in 1948 after 2,000 years both line up this year 2018! The year 1948 was the year that Israel was reborn as a nation 70 years ago… and probably the most intriguing of the numbers as the initial significance of this number is not hard for anyone to see. 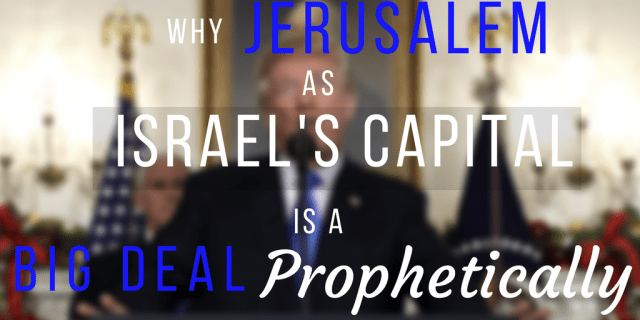 There are, however some lesser-known items that we have found that make this number even more significant; the 19th book and the 48th chapter in the Bible (Psalm 48) describes the re-establishment of Jerusalem and Israel. If you count from the beginning of the Bible (Genesis) then Psalms is the 19th book; then if you count from the end of the Bible (Revelation) backwards then Psalms is the 48th book. Nothing is coincidence with God! The Lord God has revealed about these years through the picture He paints by the Hebrew alphabet representing these numbers, and the numeric values, history …and the leading and insight provided by the Holy Spirit. The prophetic anointing revealing the future, and also possible paths – knowing God also reveals what could occur so we can pray and be a part of what God is doing Israel and, in our lives, -- our countries and the nations. Does all of this mean that the “Rapture” and the start of the “Tribulation” will happen this year? Sorry to disappoint but the answer again is that we are very close and that it could well happen. But, the bottom line as always, is that only God knows for sure! Though a generation defined in the Bible to be 40 years or 70 years and more …we find that 40-year generation in the Bible is considered a “rebellious/evil generation” – trial, testing or judgment: Psalm 95:10; Ezekiel 29:11; Numbers 14:33-34 - Jews in wilderness 40 years for a generation to die, Numbers 32:13. We also see that 40 years can represent temptation - Yeshua (Jesus) was in wilderness 40 days. Our Lord overcame that! It can represent disobedience – whilst Moses was on Mount Sinai 40 days and 40 nights the people rebelled. In Hebrew the number 40 is often used for time periods. 40 days or 40 years which separates 2 distinct time periods or era such; as rain fell for 40 days and 40 nights – Genesis 7:4; The spies explored the land for 40 days – Numbers 14:25; Saul, David & Solomon all ruled 40 years - Temple destroyed 40 years after Yeshua (Jesus) started His ministry. During the Biblical year 5777 which ended on the 20th September 2017 and the new Biblical year 5778 began the following day …Jewish tradition records that amazing Jubilees have occurred. 7 is always the number of “Completion” - whereas 8 is the always number of “New Beginnings.” If we look at Biblical reference to the number 7: God created the world in 7 days and on the final day rested -- the number 777 is one of ultimate “completion.” But, when we look at the very next number which is 8 – it represents “New Beginnings” and is also the 1st day of the week! Yeshua (Jesus) rose on the 1st day of the week from the dead and He then ushered in a “New Season.” The passing from 5777 to 5778 (2017-2018) indicates a “New Season “has begun! Hebrew numbers ALL have great significance and bear a message not only for Israel but for the nations too. This should get us all excited! Remember the former things long past, For I am God, and there is no other; I am God, and there is no one like Me, declaring the end from the beginning, and from ancient times things which have not been done, Saying, ‘My purpose will be established, And I will accomplish all My good pleasure,” Isaiah 46:9-10. The Jubilee period of 50 years… speaks of “restoration” and “return” of that which belonged to its original owner. We see this Jubilee cycle 2017/8 when Jerusalem turned 50 years since liberation (1967-2017) and key events lined up in this exactly 50-year interval. US President Trump announced the move of the US Embassy from Tel Aviv to Jerusalem on the 6th December 2017. By doing this it was also a message to the world that recognizing Jerusalem as “the Eternal and undivided Capital of the State of Israel is the right thing to do. However, this recognition was unduly withheld by the International Community and nations of the world who immediately took the matter to the United Nations and most nations stood together against Israel, except for a few righteous nations – leaving Israel the only nation who is not allowed, by their ungodly standards, able to choose its own Capital. 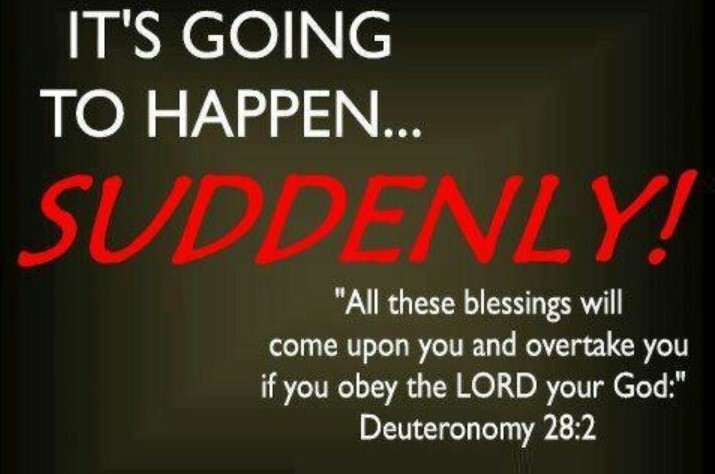 This did not happen by coincidence and certainly did not take God by surprise! The Jubilee cycle ushered in a new season for Israel – the rightful owner of the land and its Capital City Jerusalem! With the re-unification of Jerusalem in 1967 meant that the Biblical Old City was back in Jewish hands for the first time in 2,000 years! The prophecy of Zechariah 12; was written approximately 2500 years ago predicting a future day when the world’s focus would be on Jerusalem: “Behold, I will make Jerusalem a cup of trembling unto all the people round about, when they shall be in the siege both against Judah and against Jerusalem.” … “And in that day will I make Jerusalem a burdensome stone for all people: all that burden themselves with it shall be cut in pieces, though all the people of the earth be gathered together against it.” Further in verses 7, 8 and 9, the prophecy makes it clear that God will ultimately save the city and its people, but to the surrounding nations, the attempted conquest of Jerusalem will cause them great trouble, and to every nation pressuring to lift Jerusalem out of Jewish control, it will prove to be a heavy burden, and be injurious to them all. This is widely regarded as an End Time prophecy, and by examining the current geo-political and spiritual situation of the Middle East conflict, it is safe to say the time-frame of this prophecy is upon us! Jerusalem will become like a “cup of drunkenness” - for the nations of the world! Watch and pray! You see this latest move by US President Trump is a “game-changer” in the way nations will deal with Israel in the very near future! God is giving every nation a chance to stand with Israel and be blessed or turn their backs on Israel and be “cursed!” However, the Palestinian Arabs and Islamic nations surrounding Israel (Psalm 83:4-8), the International community, the UN and the EU and the Vatican - all have a different goal in mind for Jerusalem. They would all remove complete Jewish control over the city and erase the Jewish victory in the June 1967 (miraculous) Six Day War, and either divide Jerusalem, or attempt a complete conquest of it, if they could. The call of the world at this time then is the attempt to lift this ‘immovable rock,’ but in return, to only find that the word of God is the unshakeable truth. All who burden themselves with pressuring Israel in changing what God has said in His word concerning Jerusalem, will find themselves facing nothing less than God’s judgment. Jerusalem WILL be a cup of trembling to the surrounding nations attempting to take it over from Israel; the Six Day War is an example of the supernatural protection around this Holy Land. God’s Word is faithful and true. Israel is like a banner to the entire world that the Word of God is the truth. With each passing day, as Jerusalem becomes more and more the centre of the world’s attention, it will become increasingly difficult for anyone to dispute the incredible accuracy of these Ancient Prophecies. Truly, the time to seek God is now! Zechariah ends the chapter with the Messiah’s prophesied return; “And in that day I will set about to destroy all the nations that come against Jerusalem. I will pour out on the house of David and on the inhabitants of Jerusalem, the Spirit of grace and of supplication, so that they will look on Me whom they have pierced; and they will mourn for Him, as one mourns for an only son, and they will weep bitterly over Him like the bitter weeping over a firstborn.” Zechariah 12: 9. As we enter 2018 this “New Season” we can expect an even deeper “restoration” and continue to strengthen the national and physical State of Israel. But, let’s remember that it will not come without intense opposition especially after the US recognized Jerusalem as Israel’s Eternal Capital belonging to the Jewish people! We can expect that this “New Beginning” will go beyond the natural and human political realm. It is connected to the “spiritual” as God Himself controls history and prophecy - and His Word will come to pass! We know that one of the greatest outstanding promises God gave the Jewish people the understanding of “things to come” in the future - through His Word – the bible – we are able to understand too! “New seasons” – “New Beginnings” lie ahead for the believer in Yeshua (Jesus). New levels of glory and spiritual depth will follow …but they are often preceded and accompanied by seasons of attack and even suffering. When we look back on Israel’s history we see a pattern; the birth of the Zionist movement triggered a severe wave of anti-Semitism in Europe, including pogroms in Russia and the Dreyfus Affair in France! In 1948 the State of Israel was established out of a fierce battle …and Jerusalem was reunited in the 6-Day Yom Kippur War. Both wars appeared to be hopeless battles for Israel – yet the “Divine Hand of God” resulted in the greatest miracle for Israel. For Israel and the Church, we must prepare for both. With a new level of “Divine Restoration” for Israel will always results in a loss for Israel’s enemies! And, Seasons of victory ALWAYS come at a cost! We are entering a season of breakthroughs, deeper levels of authority and glory for Israel and the Church and for individual believers too. There will be global shakings, with signs in heaven and with battles that are unprecedented …and opposition will surely come with the “new blessings” and “new beginnings” that lay ahead for us – but if God be for us …who …or what can be against us? We must be prepared. Let us keep vigilant because Satan walks around LIKE a roaring lion – he is not the real thing – and will try to stop this “New Season!” Pray for the Peace of Jerusalem - Psalm 122. We most sincerely believe that God WILL bless you for your faithfulness and love for His land and His chosen people. God’s Word is true! He IS watching to see how the nations are treating His people. 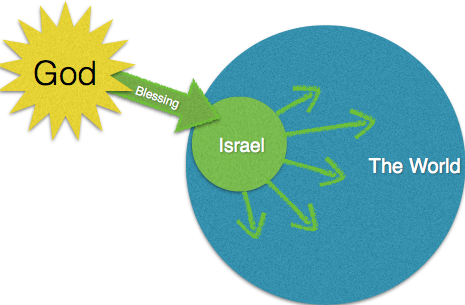 God will have mercy on Israel through Gentile believers acting as mediators towards them. This is one of the most amazing revelations ever given to the church – an opportunity to do something that carries the highest priority in the heart of God. Yet, sadly, so few have seen the potential and the rewards of serving God in this manner - as agents of mercy to Israel and the Jewish people! Israel was and still is despised today and a despised nation continually turning away from God but nothing ever altered the purpose of God for that nation. The despised element is always a noticeable element in the purpose of God. When the Saviour of the world came, He came of that despised nation; like Israel… He Himself was “despised and rejected by men,” …and there is that despised element; “…things that are despised God has chosen,” 1 Corinthians 1:28. Now, more than at any time is the time to support Israel and the Jewish people - the Lord’s Brethren! We are witnessing the nations and people turning their backs on Israel. Thank you once again for your prayers and generous support! This can be done SECURELY through PAYPAL by clicking on "Make A Donation" LINK above or by visiting our Donations page where you will find the list of ministries where you can be a blessing to. Thank you for your love and support for God's chosen people (Ruth 2:12).